The third molars, or wisdom teeth, usually erupt in the late teens or early 20s. The teenage years are also a time when many people have orthodontic work to correct misaligned teeth. Many people experience crowding or other problems when their wisdom teeth come in because their jaws are not large enough for all of the teeth. Wisdom teeth have a good chance of coming in sideways. This is called an impacted wisdom tooth, and it can affect the nearby teeth. On the other hand, many people’s wisdom teeth come in straight and do not need to be removed. In some cases, a dentist or orthodontist may recommend removing the wisdom teeth before braces are put on the other teeth. This can be done if the mouth is already crowded even before the wisdom teeth appear. In that case, the wisdom teeth may be removed before they erupt and before braces are put on as a way to prevent problems in the future. A wisdom tooth may need to be removed for other reasons. In some people, the wisdom teeth cause pain or discomfort when they come in. Some people’s wisdom teeth are partially impacted and only come in halfway. Wisdom teeth can be difficult to brush and floss since they are in the back of the mouth and may be partially impacted. A cavity in a wisdom tooth can cause pain, which may make it necessary to remove the tooth. An impacted wisdom tooth can also become infected. Can Wisdom Teeth Ruin Orthodontic Work? Some parents are concerned that if their child gets braces to correct crooked teeth and then the wisdom teeth come in later, the wisdom teeth could make the corrected teeth crooked again. However, the forces that the wisdom teeth exert on the other molars are not strong enough to make teeth in the front of the mouth crooked. People also wear retainers after their braces are removed to keep their teeth in the correct positions. Should You Have Your Child’s Wisdom Teeth Removed? 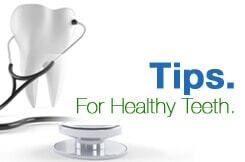 Many people who get braces in their teens do not have their wisdom teeth removed, but in some cases it is recommended. Your child’s dentist or orthodontist will need to look at your child’s mouth and discuss the individual circumstances with you to make a decision on the best course of treatment. Many children should get an orthodontic evaluation by the age of 8 or 9. A dentist can look at how the permanent teeth are coming in and note any problems that may require orthodontic work later. If your child is due for an orthodontic evaluation, schedule an appointment at CT Pediatric Dentistry.